BENTLEY SPOTTING: Bentley. 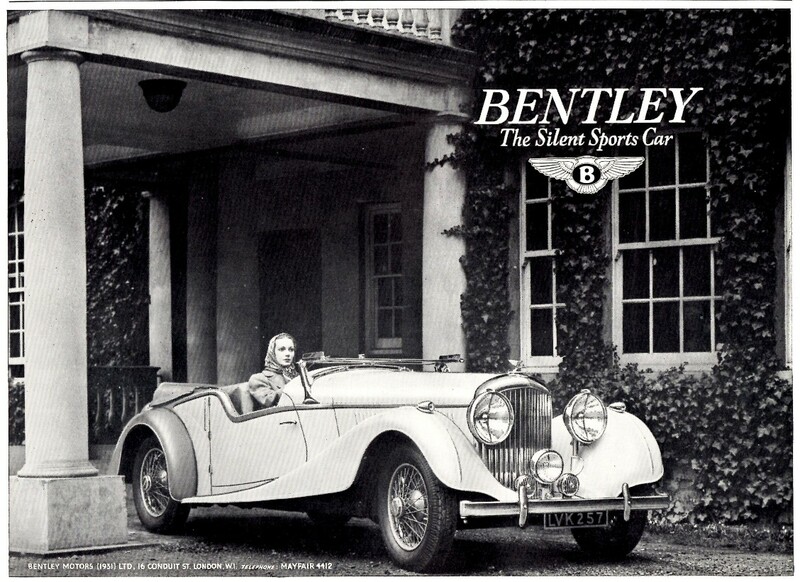 The Silent Sports Car. Bentley. The Silent Sports Car. 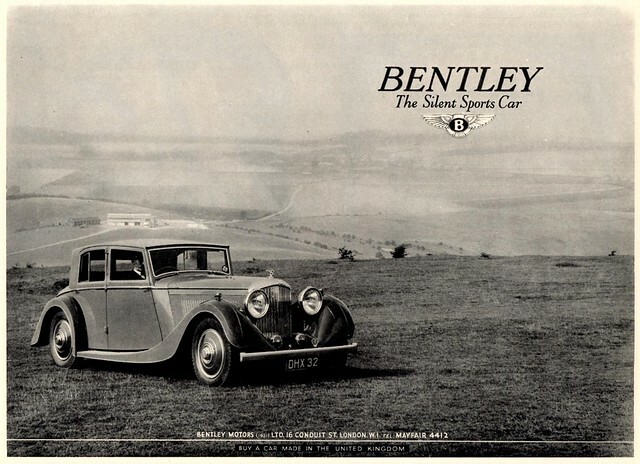 From a half-page advertisement from The Illustrated London News of May 29, 1937 comes a 1937 Bentley 4-1/4 Litre Saloon. 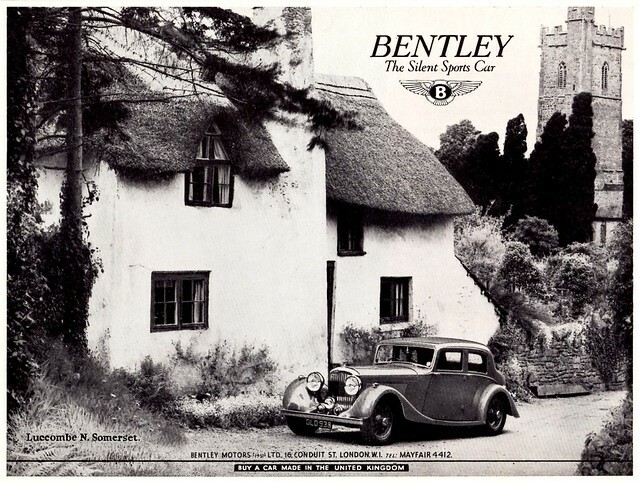 The advertising department was onto a winner, and repeated a similar campaign in 1938 with this, 1938 Bentley 4-1/4 Litre Saloon. Let's see how it looks today. Trees have grown, and the Silent Sports car has driven off. Just finding the exact house in the town on Google earth from the picture is way harder than is seems. I could not find any Bentleys though. Then again in 1939, with this advertisement of a 1939 Bentley 4-1/2 Litre Sports Tourer. Thanks a lot to Flickr user aldenjewell for the photos.